Thank you (so, so much) to the author for sending me a copy of this book in return for my review. 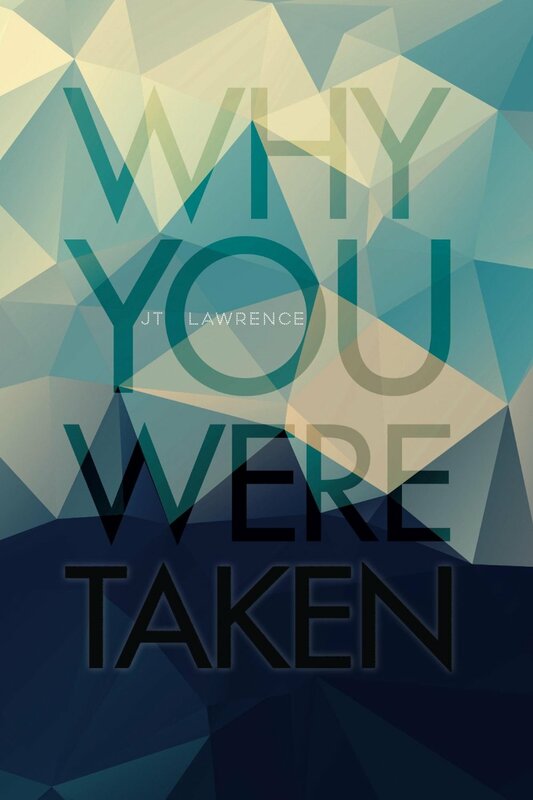 Why You Were Taken is a futuristic thriller set in a dark, murky Johannesburg of 2021 (I did pause and take a breath when I realised that’s actually not too far into the future). There’s no drinkable water, and the chances of naturally conceiving a child are slim to none. This is a world that runs on devices, cleverly and aptly named. They are the great-great-grandchildren of the gadgets we use today, in more advanced, sophisticated form, and need no further description than the enhanced, techno-trendy monikers Lawrence has assigned them. Kristin is a synaesthete – she experiences the world in colour. Seth is a chemgineer – he’s a brilliant scientist working undercover to expose corruption in large corporations. There’s no connection between the two of them until people start turning up dead – all apparent suicides – and a mad woman approaches Kristin, giving her a warning and alerting her to the existence of a list of barcodes. Just what do these barcodes represent? How are she and Seth connected? Once you start reading, you won’t be able to stop! With the help of her intrepid reporter friend KeKe, Kristin sets out on an adrenaline pumping mission to discover what her purpose in life actually is. Told from the perspectives of both Kristin and Seth and a series of diary entries starting in 1987 and ending in 1989, this is a riveting, fast-paced, edgy thriller. Lawrence has managed to maintain Joburg’s familiarity while introducing an element of frenetic other-worldliness. There are still the ever-present taxis (it is still Joburg, after all), but now we also have Tuk-Tuks, Bots and Talking Tees (yes, you have to read the book to find out what these are). Without giving too much away, I have to just mention that if I wanted any of the imagined creations from this book to be patented it would surely be the tattoo that changes colour when your insulin levels need adjusting. What a genius idea! Maybe this is already in development, I don’t know. I would take it one step further and say that I’d love to patent a tattoo that changes colour to indicate any types of conditions, disorders or changes that would trigger alarm bells. This book sounds incredible! I can’t recall reading a book in this genre by a SA author so I might just get this one to quickly make a change. So happy to find your blog!